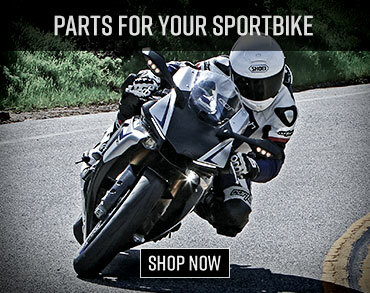 Home Articles Bikers-Are You Protected? 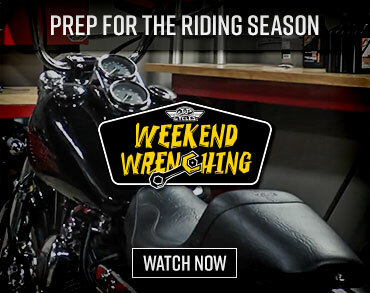 If you’re ready to head out on your motorcycle for another great riding season, you’re not alone. Soon bikers across the nation will celebrate their culture with rides, rallies, bike nights, and events. But before you take to the open road, remember that May is Motorcycle Safety Awareness Month. It’s time for a reality check. According to the National Highway Traffic Safety Administration, more 82,000 motorcyclists or passengers were injured in accidents in 2010 alone. No one wants to experience that statistic firsthand. Take a few minutes to learn the importance of protecting your legal rights if you’re in an accident. It could impact your life forever. Choosing motorcycle insurance can be tricky, because many states have different insurance laws. 1. Don’t skimp on Bodily Injury Liability coverage. Bodily Injury Liability covers claims against you if you’re found legally responsible for causing an accident. Remember, an ambulance ride alone can cost thousands of dollars. If you don’t have enough coverage on your policy, you can be held personally responsible for paying the other person’s medical bills. We recommend a minimum of $100,000 per person, and $300,000 per occurrence. 2. Keep your vehicles and motorcycle on the same policy. If possible in your state, have your motorcycle insurance on the same policy as the other vehicles in your household. 3. Don’t forget Uninsured/Underinsured Motorist Coverage (UM/UIM). Unfortunately, thousands of uninsured and underinsured motorists are on the road at any given moment. That’s why it’s especially important to protect yourself by having Uninsured/Underinsured Motorist Coverage. You should have at least $100,000 per person, and $300,000 per occurrence of coverage. Choose the stacking option when available. Stacking gives you coverage per person or per occurrence equal to the total number of vehicles on your policy. As you review your policy, don’t be tempted to choose the minimum required by your state. Remember, you can make changes to your policy at any time. Make sure to know the helmet laws where you plan to ride. • Perform a safety check on your bike every time you ride (tires, controls, lights, turn signals, horn, mirrors, fluid levels, brakes, etc.). • Always ride safe and sober. • Wear a helmet – it could save your life. Know the helmet law wherever you plan to ride. • Always watch for potential hazards, stay out of other drivers’ blind spots, and be cautious when going through a construction zone. • Watch for dangerous road conditions (berm drop-offs, roads covered in gravel, pools of water, potholes, and confusing signs). • Wear proper riding attire. • Keep a waterproof card with you at all times that lists your emergency contact information, medical conditions, and current medications. The moments following an accident are stressful. Call 911 immediately. Get medical treatment for anyone hurt in the collision, and make sure your injuries are documented. Talk only with the police, and don’t speculate who’s to blame. Ask the police to prepare a police accident report. If none is filed by the police, consider filing one yourself. When in doubt, call an attorney. Take photographs of the accident scene, injuries, and damages. Get information from the other driver (name, address, birth date, phone number, address, insurance provider, driver’s license number, vehicle identification number (VIN), and license plate number). Collect contact information for any witnesses. Then, contact your insurance company, but don’t give a recorded statement until you have spoken with an attorney. Never give a recorded statement to the other party’s insurance company. It’s easy to get caught up in the thrill of motorcycle riding and forget the importance of protecting your legal rights. Chances are your summer will be filled with memorable rides, bike nights, and rallies. But, you need to be prepared for anything. Visit these links for state-by-state motorcycle insurance laws and helmet laws, as well as more motorcycle safety tips. Attorney Michael H. Rosenzweig has over 20 years of experience helping people hurt in motorcycle accidents. Edgar Snyder & Associates is a Pennsylvania-based law firm that is active in the biker community. 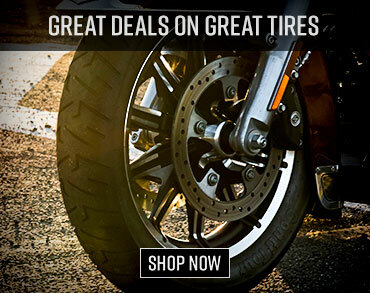 Its Harley-Davidson makes appearances at bike nights and rallies throughout the riding season. For more information, visit www.EdgarSnyder.com.